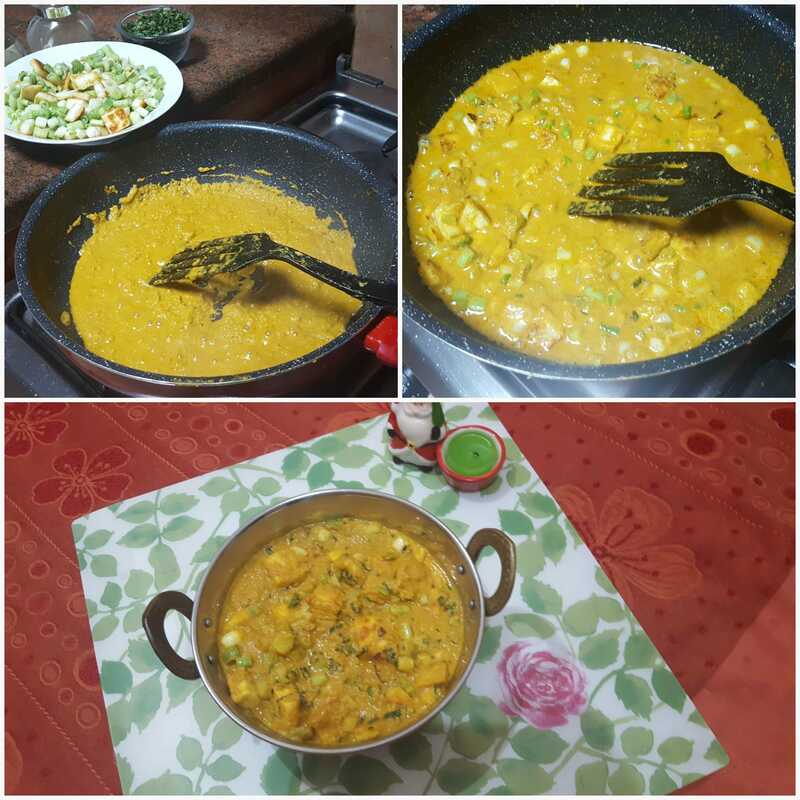 Paneer Hara Pyaza orPaneer with spring onion recipe is very delicious and tasty. As fresh spring onion are available these days make it a tasty tangy vegetable. serve with nan,rumali roti paratha puri, kulcha etc. Preheat a pan and heat oil in it. Place the paneer chunks in the pan.Flip and roast the chunks until little brown from all sides.Transfer the paneer pieces to a plate keep it aside. For gravy, Heat oil once heated add cardamom powder bring flame medium. Add tomato paste, ginger and garlic paste, saute it for 1-2 minutes then add curd with allspice saute for 2-3 minutes, saute the masala till oil starts leaving from the edges. Add salt mix well,add1/2 cup water mixes well boil it 1-2minutes. drop the roasted paneer and add spring onion saute it for 1-2 minutes. Cook 1-2 minutes, Paneer Hara Pyaza is ready. SERVE HOT with Nan, Roti, Puri, Paratha etc.